Which Flyer? What are Ratios? The only question, which one do you actually need. To the uninitiated it’s not necessarily obvious which flyer does what. This is all written with a slant towards Ashford wheels, I’ve known and loved my fair share of Ashfords, and many UK spinners also own an Ashford. However, manufacturers like Kromski, Louet, and Schacht all have similar options available for their models. Some wheel manufacturers like Ashford make flyers where the ratios are built in to the Flyer, others like Schacht create interchangeable whorls that you slot on to the flyer to give you different rotating speeds. This is the one for you if you want to spin thick and chunky, or art yarns. It has lower ratios, ie the flyer turns round fewer times for every revolution of the drive wheel. The orifice is larger, so you can fit a thicker yarn through it. The bobbins are bigger, so will hold more yarn. This is the flyer that will let you spin fine yarns more easily. It has higher ratios, the flyer will turn round more times for every revolution of the drive wheel, so you can put more twist in your yarn more quickly. 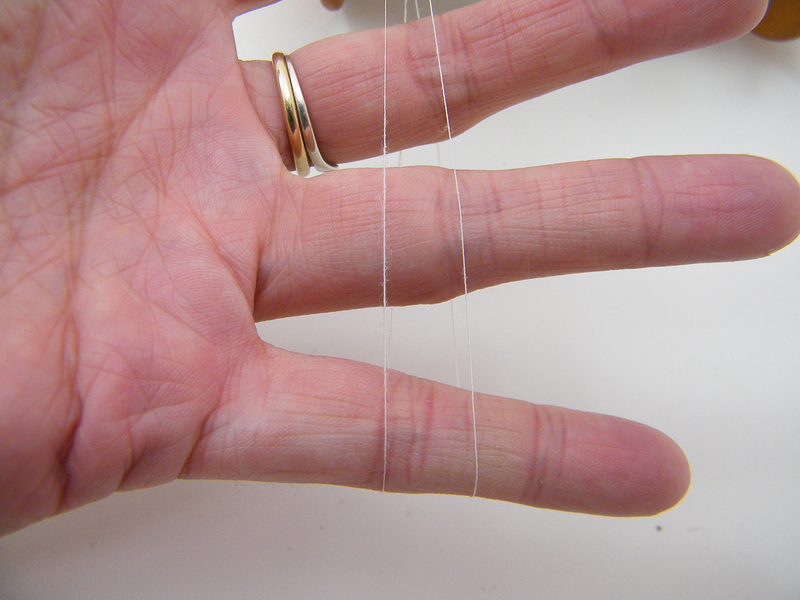 These flyers may have a smaller orifice, and are designed to be used with special bobbins that have a fat core. These help reduce the take up, and the chances of very fine yarn breaking during spinning. Most however, fit the standard bobbins as well. Ashford complicate this by also giving an option of a sliding hook flyer. Rather then the traditional hooks along the arms of the flyers they instead have a tube of graphite with a sliding eyelet to guide the yarn on to the bobbin. This lets you fill the bobbin up more evenly. It comes in a Jumbo or Standard option. The Jumbo Sliding Hook Flyer will do the same things as the Regular Jumbo Flyer. The Standard Sliding Hook flyer however does has two added bonus features over the Standard flyer that comes on most Ashford wheels. It takes a slightly larger size bobbin. Not as large as the Jumbo bobbins, but large enough to hold 100g of plyed yarn. You can also use your regular bobbins with a Standard Sliding Hook Flyer. If you don’t want to spin thick and chunky yarns, as the orifice isn’t any larger than on a regular Standard flyer, but just want bobbins that hold slightly more yarn then this flyer upgrade is perfect. It also comes with 4 different ratios. The largest one is slower than the regular flyer, and the highest one is faster, so it gives you more options to spin fine, and chunky with the same flyer. This is option is exactly what I fitted on my 1975 Traditional, I spun everything from laceweight (30wpi) to super bulky weight (5wpi) on it. As an upgrade for a well loved wheel it’s a brilliant bit of kit. Spinning is all about twist, and a wheel adds twist to yarn by rotating the flyer. The flyer rotates when the drive wheel goes round. If you slowly turn your drive wheel by hand you will see the flyer turning round, and notice that for every drive wheel rotation the flyer turns around more than once. This gearing system is what speeded up yarn production and is why the spinning wheel was invented. If the flyer only rotated once for every drive wheel rotation you'd have to treadle very quickly to put enough twist in to your yarn. The number of times the flyer rotates in comparison to the drive wheel is expressed as a ratio, e.g. 8:1 means the flyer rotates 8 times for every drive wheel rotation. When you look at the point where the drive wheel turns the flyer you'll see some grooves of different sizes. Those grooves are your ratios. The biggest groove is your slowest ratio, it's more similar in size to the drive wheel, so when the flyer will rotate fewer times in comparison to the smaller grooves. The big groove might rotate at a ratio of 6:1 and would be described as being a low ratio. The smallest groove at 18:1 and would be described as a high ratio. You use low ratios for lower twist fast yarns, and higher ratios for high twist thin yarns. You can of course spin almost any thickness of yarn on almost any ratio, simply by speeding up or slowing down your drafting speed, or treading faster or slower. However, using ratios allows you to treadle at a comfortable speed, and to draft at a regular rate. If you can work at a regular rhythm it makes it much easier to spin consistent yarns.